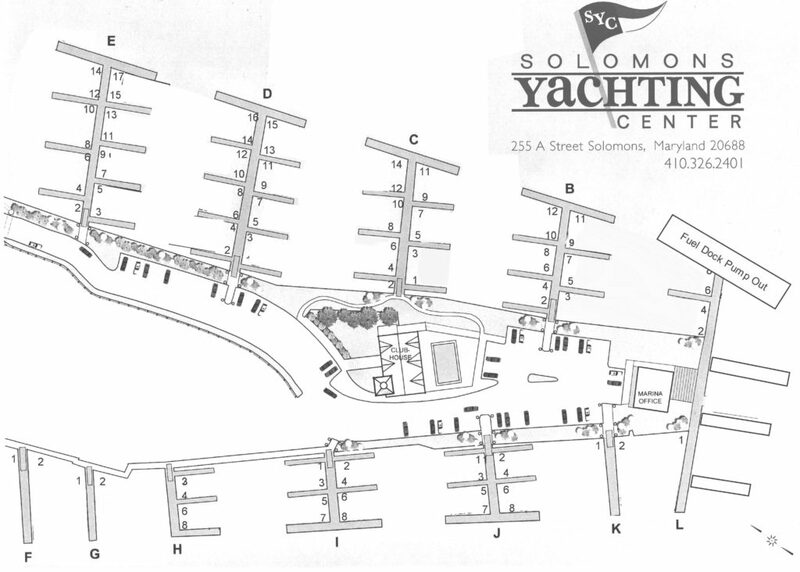 Solomons Yachting Center was thoughtfully designed to make your boating experience fun and hassle free. We selected the best in floating docks, utilizing the highest quality IPE wood available for the construction of our decks. While more expensive to install than conventional fixed piers, floating docks are recognized for being a boaters’ first choice for comfort, safety and convenience. You’ll love the accessibility and comfort of our 40’ finger piers. For provisioning or offloading your boat, or for a quick wash down, the utility of a long finger pier alongside makes all of your dockside tasks go smoother. State-of-the-art power pedestals are adjacent to each slip. Power (and plenty of it! ), and water are consolidated into one attractive pedestal. Accessing what you need is convenient and easy. Your slip area will be clear of clutter from multiple lines and hoses. Park close to your slip. Loading and unloading will be quick and easy! Plenty of dock carts are available, but you are never a long walk from your car to a fast getaway on your boat.